A flight has landed at JFK airport. The authorities are panicking. It’s been dark since six minutes before it landed on the asphalt. The windows are all closed. The doors are sealed tight. No one can get in. No one can get out. More than eighty years ago, a tale is spun at a Romanian hearth. A tale of a man who may have become a beast. A tale of the kind the brothers Grimm would have have found of interest. Today. A flight has landed at JFK airport. The authorities are panicking. It’s been dark since six minutes before it landed on the asphalt. The windows are all closed. The doors are sealed tight. No one can get in. No one can get out. Hazmat and the CDC have been called. The first volume of The Strain plays well with history. Its flitting between the now and events that cover a history of over eighty years is done seamlessly and proficiently. The handling of a flashback to one character’s experience of the Holocaust is done tastefully and doesn’t seem unnecessary. You can’t ignore that there’s a lot of big names behind this series. 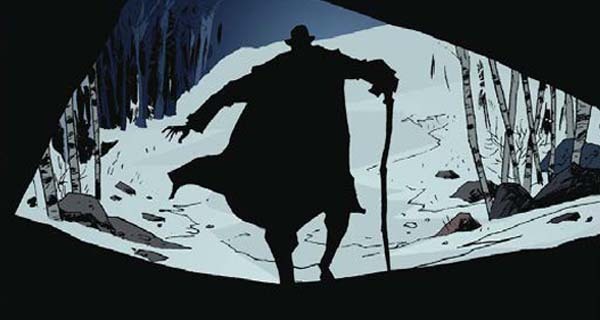 The Strain comics are based on a trilogy of novels – taking their name from the first volume – by horror and supernatural film supremo Guillermo del Toro and novelist Chuck Hogan. Script duties for the comics comes down to comics veteran David Lapham (Stray Bullets), while Mike Huddleston (Butcher Baker) is the series artist. 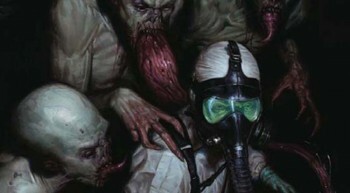 The trade does nothing to hide the biohazard subject matter of The Strain – the series’ name plus the grey, grotesque, red tongue creatures that greet you before the story starts – you know that you’re going to be dealing with the outbreak of something. And it’s obviously not zombies once you sit by the Romanian hearth. They don’t sparkle, they have little of their old self left – in mind and, err, on their person – and their blood isn’t red – it’s white. And you know what? It takes a damn long time for the main characters to get anywhere near mentioning the “V” word. And they’re suitably stunned when it does come to that. Poor Dr. Ephraim Goodweather is one of those main characters. Like so many protagonists who find themselves staring down the mouth of events beyond their control, he’s divorced, a recovering alcoholic and has a strained personal life. Why, during the opening of the first volume, he’s meant to be enjoying a weekend with his son. He’s a geekier John McClane. He’s got that perfect combination of flawed characteristics and desire to do good that, for me, makes him a likeable and, importantly, a believable protagonist. Mike Huddleston’s artwork is deeply detailed and his visual interpretation of del Toro and Hogan’s monsters is suitably creepy and – in some cases – appropriately vomit inducing. This is especially highlighted when one of the infected discovers what’s happening to their body while crashing out in their mansion. Perhaps the one thing that disappointed me about The Strain was its omnipresent narration. Not enough is hidden from you, there are some areas of the narrative that could have been left out or saved for much later. Why? I think it would have been more conducive to the overall suspense to have kept a degree more of mystery. The shadowy figures could have been more shadowy – but there is still a reasonable degree of suspense. If I was to draw comparisons between this and other, recent and ongoing series of similar subject matter, I would say that the series so far has more in common with Justin Cronin’s novel The Passage. 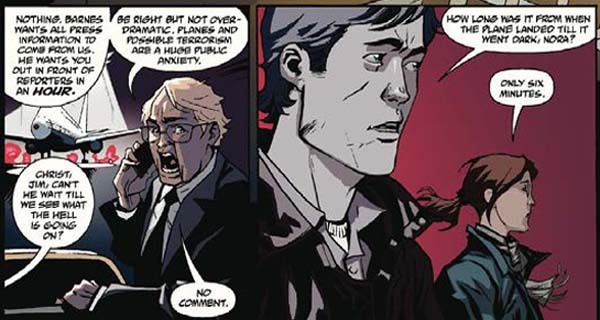 The series also has a dash of Steve Niles’ 30 Days of Night, but no similarities with Scott Synder’s American Vampire. But is The Strain worth picking up? If you’re looking for a title that has real monsters rather than creatures you’re encouraged to empathize with and you want to be grossed out, then The Strain is worth a read. 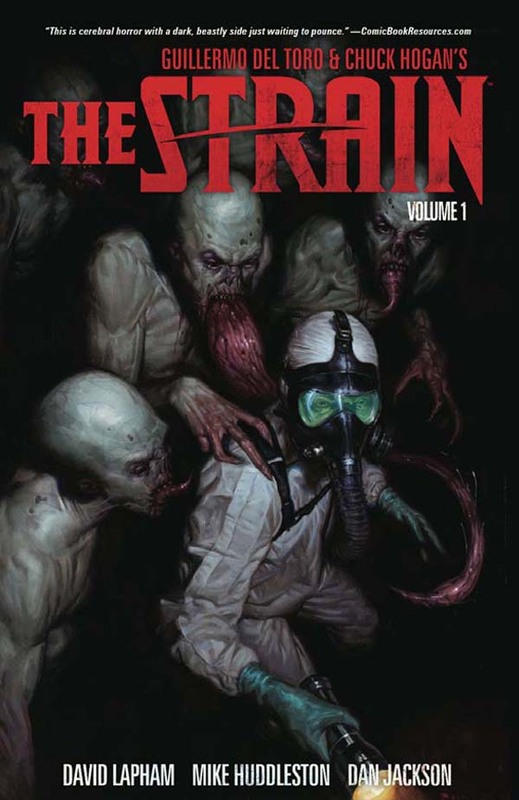 The Strain: Volume 1, published by Dark Horse, is out on 27 November and is available for pre-order now.